The Muse Calliope stands facing the god Apollo. 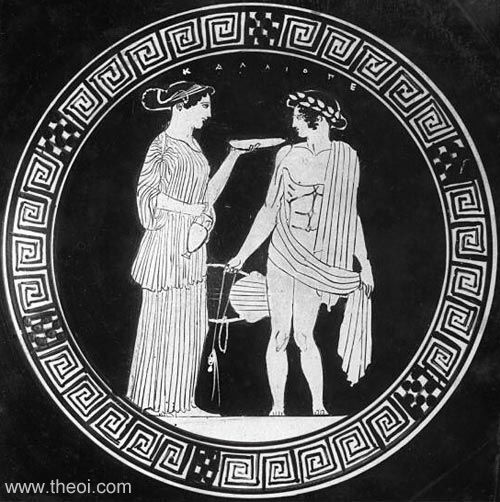 She holds an oinochoe jug and phiale plate. The god is crowned with a laurel-wreath and holds a lyre.